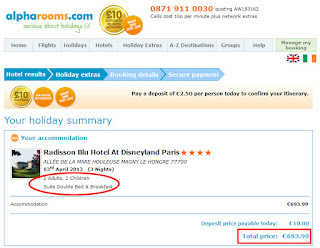 AlphaRooms, an online travel agency that we use pretty often, has special discounts for accommodation at the Dineyland Paris for the 2013 Easter / spring break holidays. 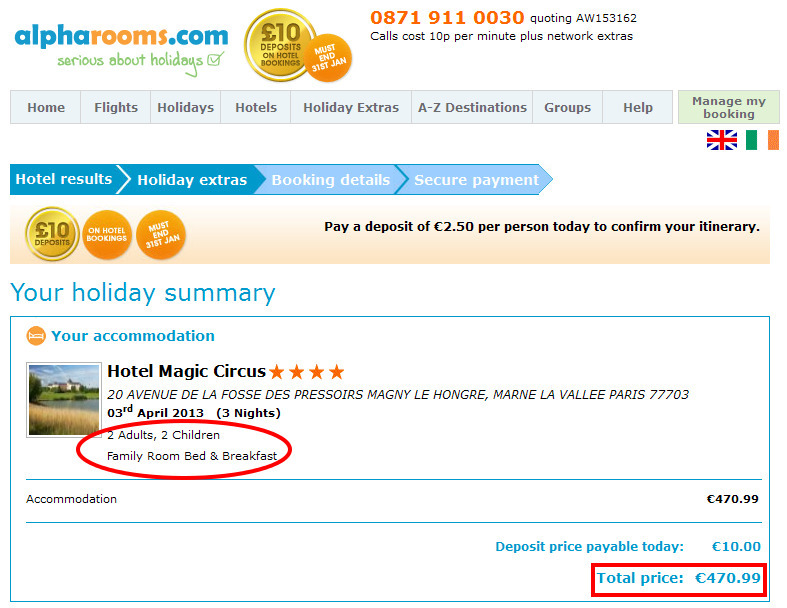 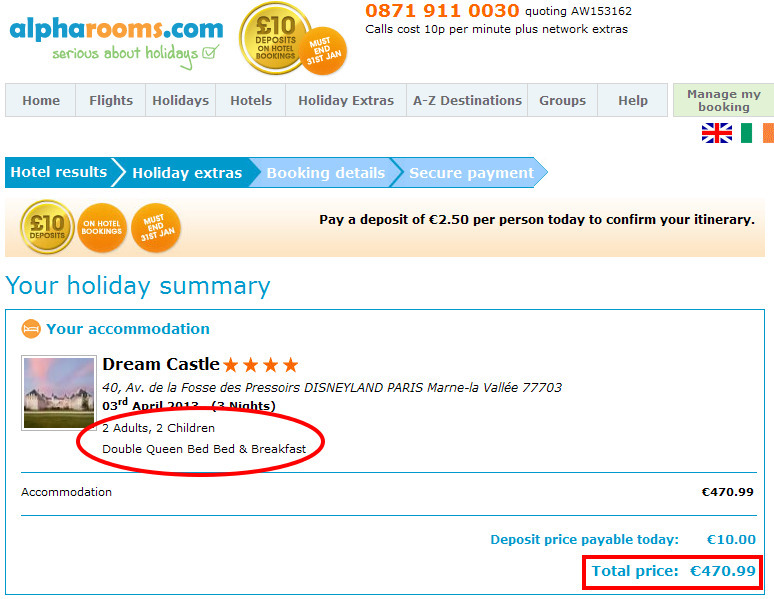 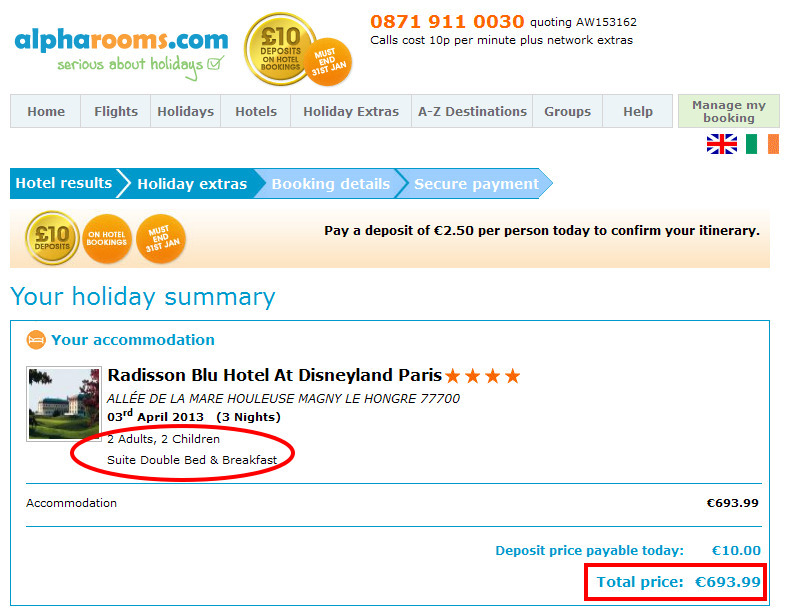 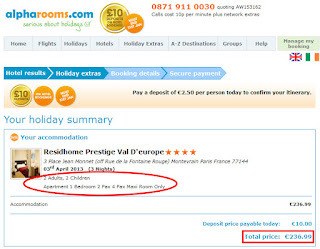 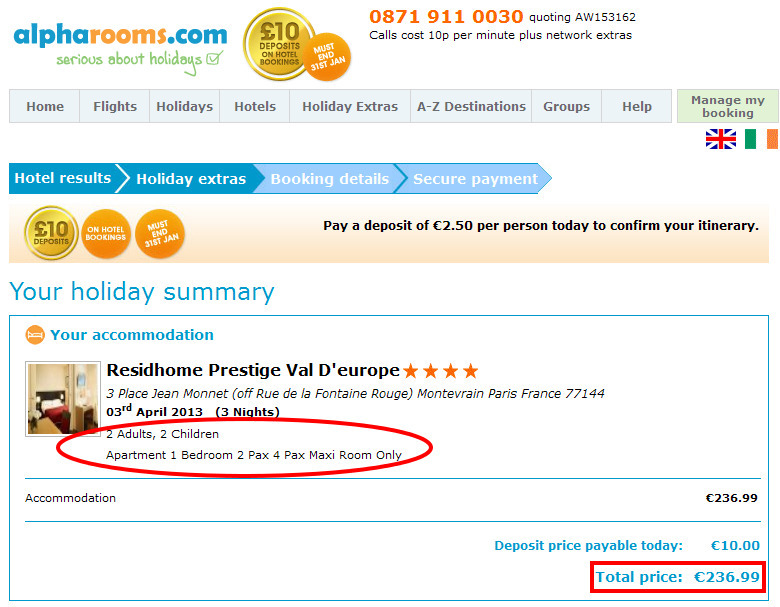 - Radisson Blu Hotel at Disneyland Paris**** has a total price of 694€ for a suite, breakfast included, while on booking.com the same room costs 1 196€ (42% saving from AlphaRooms). With their current promotion, if you book until 31 January, you only have to pay 10€ deposit to guarantee your reservation.